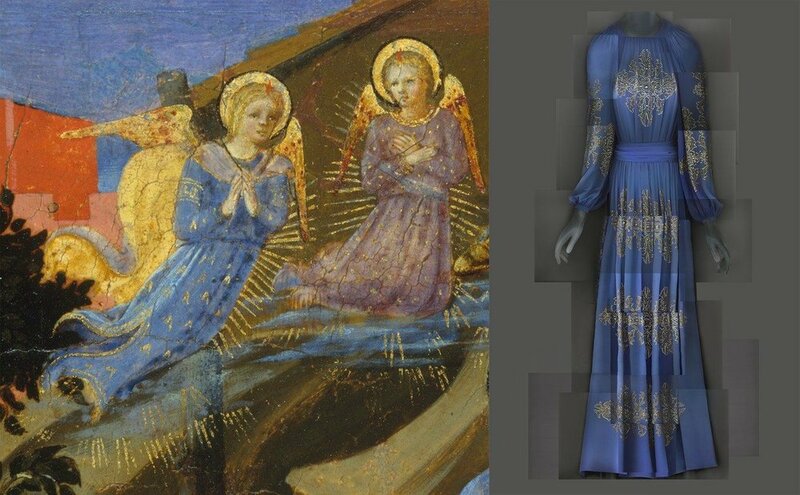 This year, The Metropolitan Museum of Art unveils, "Heavenly Bodies: Fashion and the Catholic Imagination." 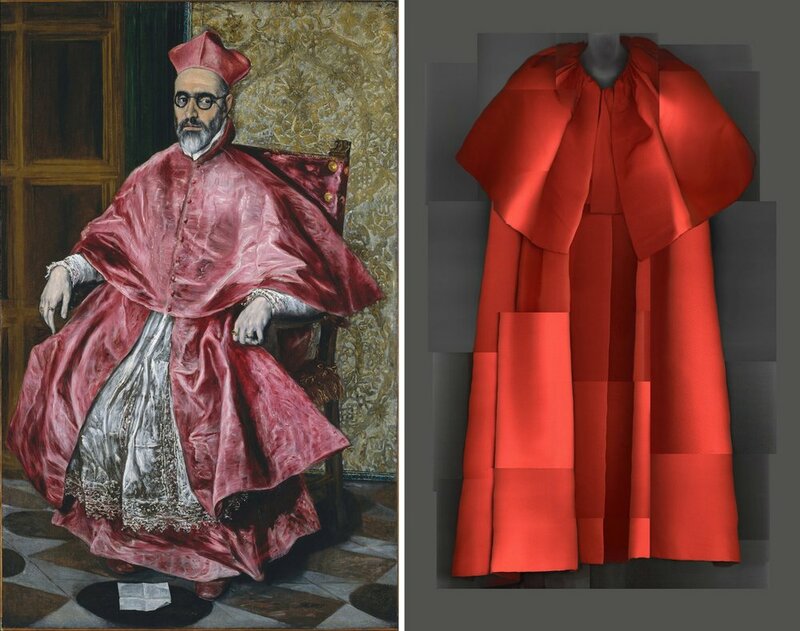 Motivated by the exploration of age-old linkages between dress and faith, the exhibition features garments influenced by the Roman Catholic tradition. "...firsthand the ways in which fashion and religion have long been intertwined, mutually inspiring and informing one another—a relationship that has produced some of the most inventive and innovative creations in the history of fashion." "...dress is fundamental to any discussion about religion. Throughout the history of the Catholic Church, dress has affirmed religious allegiances, asserted religious differences, and functioned to distinguish hierarchies as well as gender. 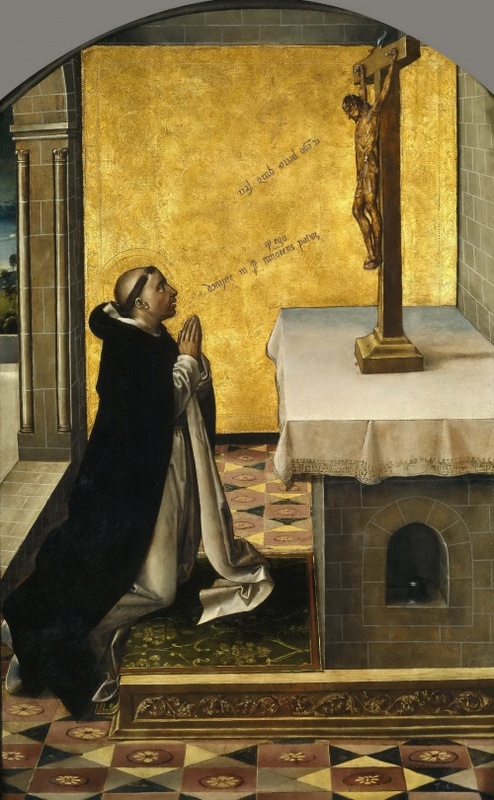 Although some might regard fashion as a frivolous pursuit far removed from the sanctity of religion, most of the vestments worn by the secular clergy and religious orders of the Catholic Church actually have their origins in secular dress." Adding to the fascination factor, the exhibition received the Vatican's blessing, with a number of senior officials not only lending support for the idea, but facilitating the inclusion of a handful of significant relics, many of which have never left the Vatican in the church's history. This suggests to me the degree to which the exhibition is meant to foster a conversation on Catholicism and perhaps faith in society today broadly, as opposed to being interpreted narrowly as critical or disrespectful. In this context, let's move to analyzing the red carpet fashion at The Met Gala, the fundraising event benefitting The Costume Institute turned celebrity fête of the season that kicks off the exhibition. As celebrity and fashion have become more intertwined, red carpet fashion has become less interesting in my opinion, but the Met Gala remains an exception. Every year, attendees are invited to dress in theme, unearthing something deeper and more interesting than the "who are you wearing" red carpet banalities to which we've grown accustomed. So, what should one expect from Heavily Bodies on the red carpet? Piety? Irreverence? Angelic overtures? 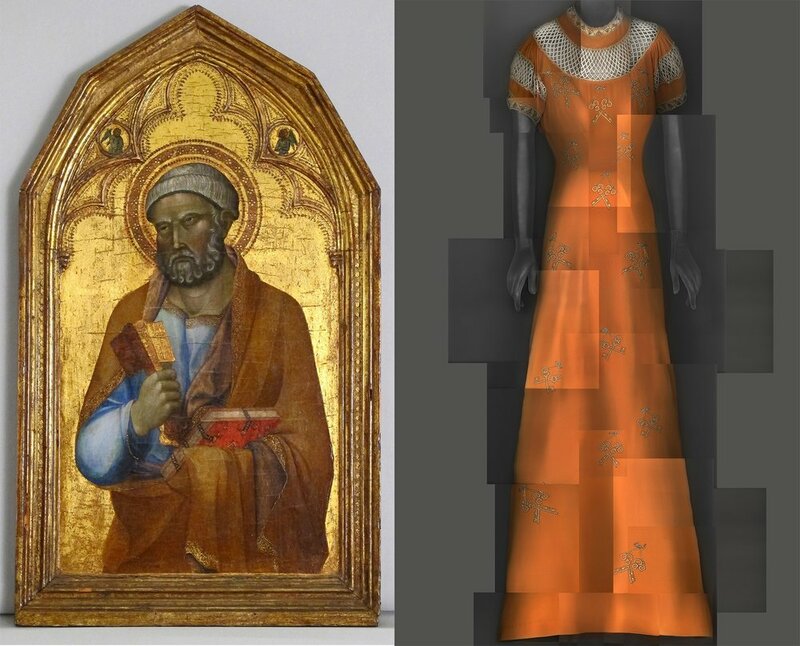 Confirmation of the linkages between faith and fashion? A challenge to those linkages? Overt religious references? Or subtle ones? If you ask me, ideally, we'd have a bit of all of this because interpretations of religion are this richly varied and complex. I was thrilled, then, when I saw this range of dress playing out on Monday evening's red carpet. Here are 10 Met Gala looks that stood out to me, and why. My criteria for inclusion, established empirically, are two fold. First, I had to like the fashion. Full stop. Second, I had to see how said fashion contributed meaningfully to the night's theme: how did it somehow enlighten or challenge my thinking on fashion, faith, or the intersection of the two? Let's take it right from the top with Rihanna wearing custom Maison Margiela by John Galliano. The exquisite, heavily beaded ensemble was comprised of a mini bustier dress, worn under an intricately constructed jacket, and topped with a beaded hat resembling a Pope's mitre. The fashion speaks for itself—the beadwork alone was surreal, as was the movement of the ensemble—but what of Rihanna's message? I was struck by a few things. First, the look was regal and exorbitant, which to me conveyed a certain air of respect for the institution in question (a nod to the tradition of Sunday best?). At the same time, the Pope's mitre was provocative. Here is a young black woman in 2018 joyfully and proudly wearing a symbol associated with hundreds of years of white male hierarchy. Is this meant to foster a dialogue around inclusion? Is this how systems change? Next up is Frances McDormand channeling the Divine in a sumptuous Valentino Couture cloak and headpiece from the Spring 2018 collection by Pierpaolo Piccioli. Oh, but to drape oneself in this silk! While not as overt as Rihanna's look, I found this ensemble thought-provoking. Is it a statement about heaven? About our ability to create a sort of heaven for ourselves on earth if we insulate ourselves (in silk!) sufficiently? Cue head in the clouds/leaves headpiece. Does it have to do with nature and the importance of revering the natural world? Is a reverence for nature a manifestation of faith? DOESN'T MATTER; just give me the cloak!! Just kidding! Of course it matters, but also, I will take the cloak. Continuing on with the most progressive looks of the evening is Imaan Hammam wearing a silk moiré gown by Zac Posen. She looks regal (she is regal!) and the dress gave me plenty to think about. When I first saw it, prior to reading some context from Posen himself, I was struck by the dress as a statement on the role of women in many of the world's religious structures, including, but not limited to Catholicism. That being: strong and rooted and powerful (and capable of taking up space), but also, in some way constrained (where are her arms? where is her form?). Her bright red lips and nails and her earrings suggest a woman articulating who she is in the context of a system that might not be designed for her empowerment. "For me, art is my religion...I'm Jewish by background. My date is Muslim. And I kind of try to think about like, what form connects it all. So I started with a circle. I started with a circle at dinner, and it was a placemat… and I kind of was trying to find form that wasn't purely about the power of Christianity or Catholicism, really something that was a uniform form of power and belief. And so I started playing… with folding different shapes, and I kind of arrived at that." I found that poignant. A woman with faith is a woman with power. Solange Knowles wearing Iris van Herpen was a Met Gala match made in avant-garde heaven. Known for her application of technology to couture, including 3D printing, Iris van Herpen is a fashion radical. I'd have been tempted to think the choice of designer alone was a statement, but the look was chosen by Solange's Twitter followers. Anyway, I love the juxtaposition of Solange's angelic braided halo and her black, slightly nefarious, but also organic, gown. A statement on the essential human embodiment of good and evil? Moving now from the avant-garde to a few of the evening's more literal (albeit no less significant) looks, here is Diana Kruger in an embroidered dress with a dramatic, extended train by Prabal Gurung. The train is a theme we saw frequently on the red carpet last night, and I can see why. 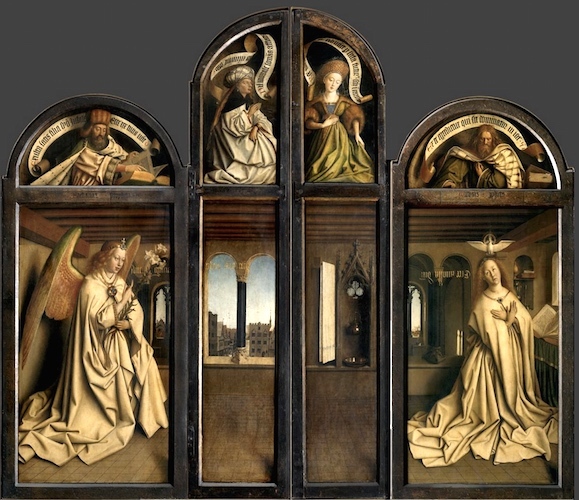 Trains are regal and significant, and frequently figure in Catholic art, lending a majestic air. 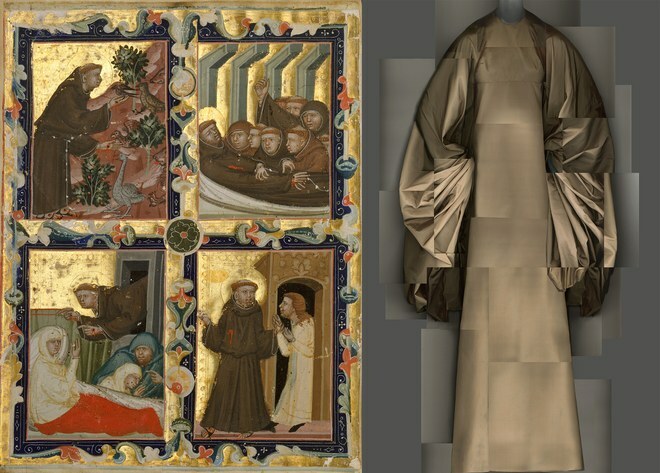 The gown's embroidery nods to the history of Catholic vestments, in which embroidery was long deployed to provide "brilliant effects and a stately magnificence" (via New Advent). And speaking of trains and embroidery! Here is Sarah Jessica Parker in Dolce and Gabbana, complete with a headpiece featuring a nativity scene. Dolce & Gabbana are prime examples of contemporary fashion designers whose work is strongly influenced by Catholicism, which is religion but also culture and way of life in their native Italy. Thank you Amanda Seyfried and Prada for coming together to provide us with this striking Pre-Raphaelite moment. The fashion case is clear, but what of the substance? 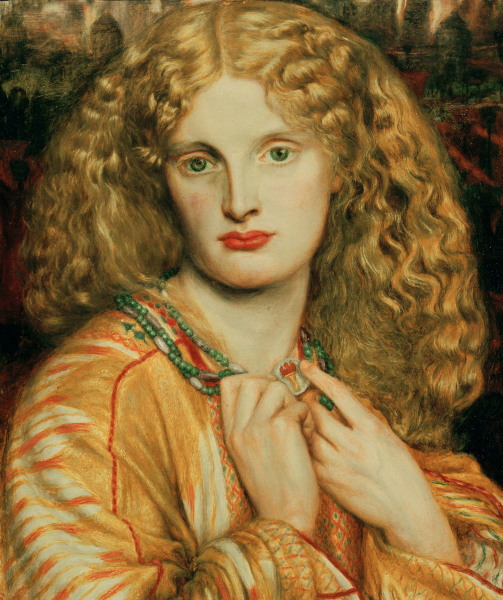 Pre-Raphaelite paintings are today seen as uncomplicatedly beautiful images. But when they were first painted in the mid 19th century, they were regarded as assaults on the eye, objectionable in terms of their realism and morally shocking...Whereas other artists tended to idealise religious figures, the Pre-Raphaelites painted them with unprecedented realism, detailing peculiarities of physiognomy and character, so people read them in terms of the model rather than in terms of the person that particular model was impersonating. Sometimes the artist’s approach was considered sacrilegious or even blasphemous...A lot of the themes they chose to depict were quite daring for the time – including problematic subjects such as poverty, emigration, prostitution and the double standard of sexual morality in society. Their pictures require a lot of concentrated reading and are so densely encoded with signs and symbols that you have to work hard at deciphering them. The point of course being that what is today shocking will, with time, be romanticized as innocent and simple. Fashion and appearance, writ large, play a key role in negotiating the boundaries of social norms, often directly conflicting with the standards put in place by religious institutions. How we depict things, ourselves included, matters. 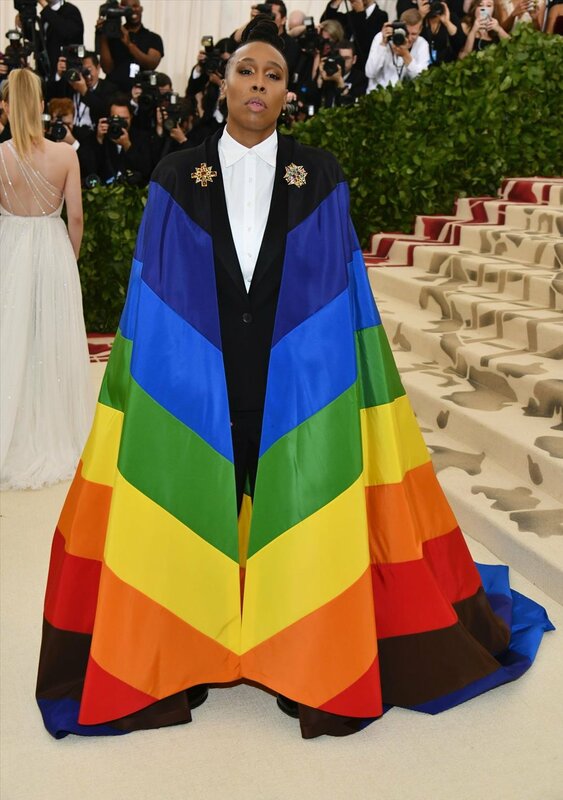 A cape that packs quite the powerful message, no? Next up is Greta Gerwig wearing a nun-inspired silk fantasy courtesy of The Row. I'd unequivocally wear this! And yet, it's interesting to see a nun's habit, designed for and associated with a life of austerity, reimagined in silk and worn as high fashion. What makes The Row version so different from the habit? And what does this say about the definition of luxury today? This look also touched for me on the question of uniform dressing in fashion. In the religious sense, uniforms can seem constraining. But in fashion, a uniform can be the embodiment of personal style; the ultimate in empowerment. Why? Didn't both the nun in uniform and the lay-person in uniform have choice? I appreciated confronting my thoughts and biases here. Uma Thurman in Gabriela Hearst provided one of the evening's most subtly interesting looks in this immaculate ivory gown adorned in the back with 3,000 hand-beaded pearls. 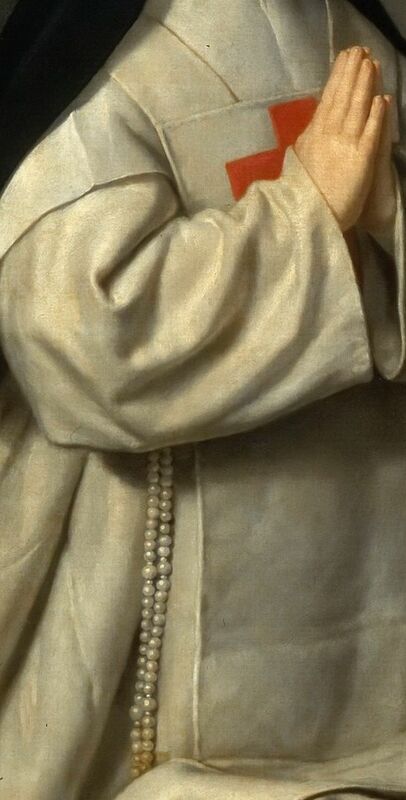 Of course, white and pearls figure strongly in the Catholic tradition, imbuing the dress with significance. There we have it! 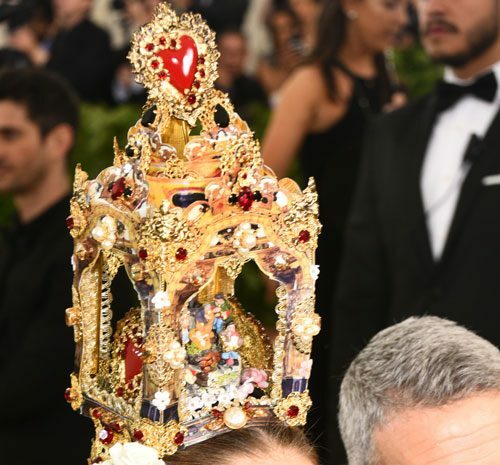 A Met Gala brimming with enough ideas, interest, and inspiration to motivate a million fashion fantasies. And the best part of it all is that we don't need to wait another year to examine, critically, what our fashion says about us. Far beyond the red carpet, fashion is always speaking about what we value and the things we hold dear. Apr 4 What Does it Mean if Vetements is Losing Ground?